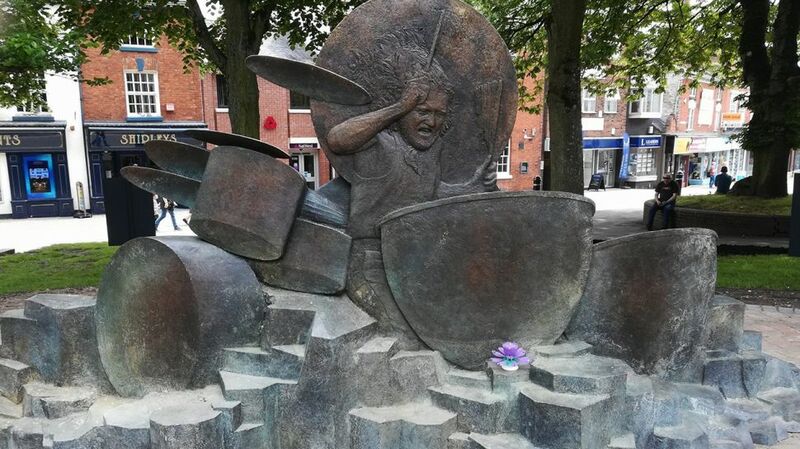 A statue of Led Zeppelin’s John Bonham appeared in his home town of Redditch yesterday to mark what would have been the drummer’s 70th birthday. 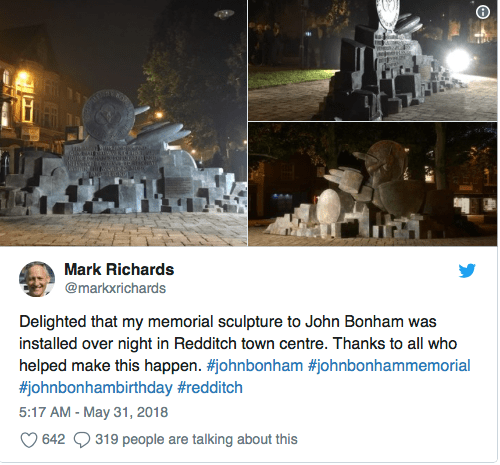 The Redditch & Ancestor Advertiser report that the artwork was created by British sculptor Mark Richards and was made possible thanks to years of fundraising by The John Bonham Memorial Fund, which was founded in 2013. The statue is situated in Mercian Square in the town centre, with Richards later posting several images of his creation on Twitter, which can be seen below. Bonham died at the age of 32 on September 25, 1980. Led Zeppelin’s legacy is being celebrated this year to mark their 50th anniversary. A reissue of How The West Was Won was released on CD, LP, Blu-ray Audio and as a Super Deluxe Box Set in March, while an illustrated book on the band will be published in October. Earlier this year, guitarist Jimmy Page also hinted that a new Led Zeppelin live release was on the cards, telling Music Week: “I can’t give the game away, but there’s a recording that’s another multi-track that we’ll release.